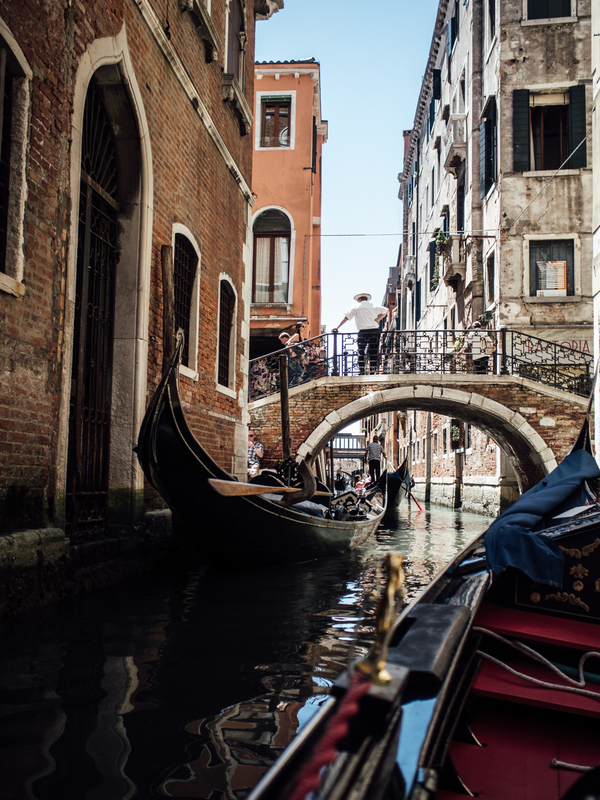 When the invitation to the JW Marriott Venice opening landed in my inbox early Spring, I decided I would take a trip on a gondola, no matter what happened. 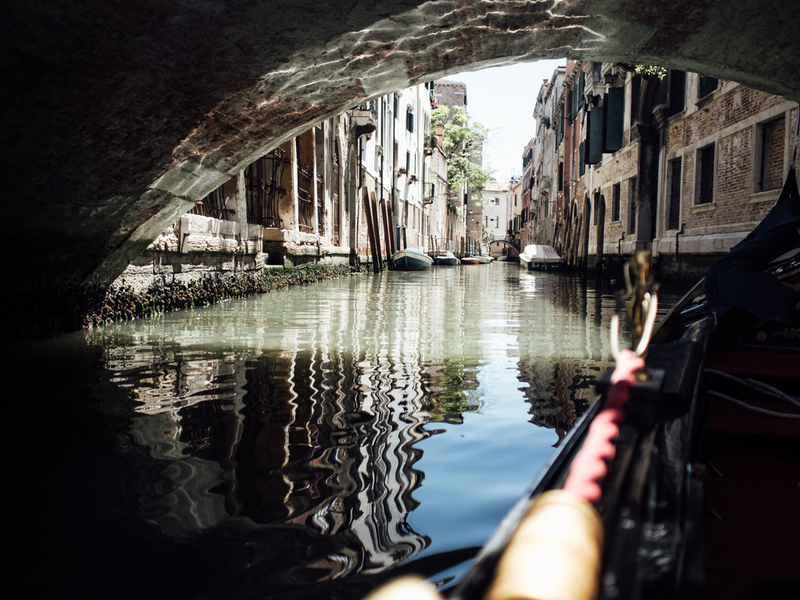 See, whenever I travel somewhere with a large body of water, I have to get on a boat and explore… So you can imagine my joy when the large body of water is the Venetian canals and the boat is a gondola. 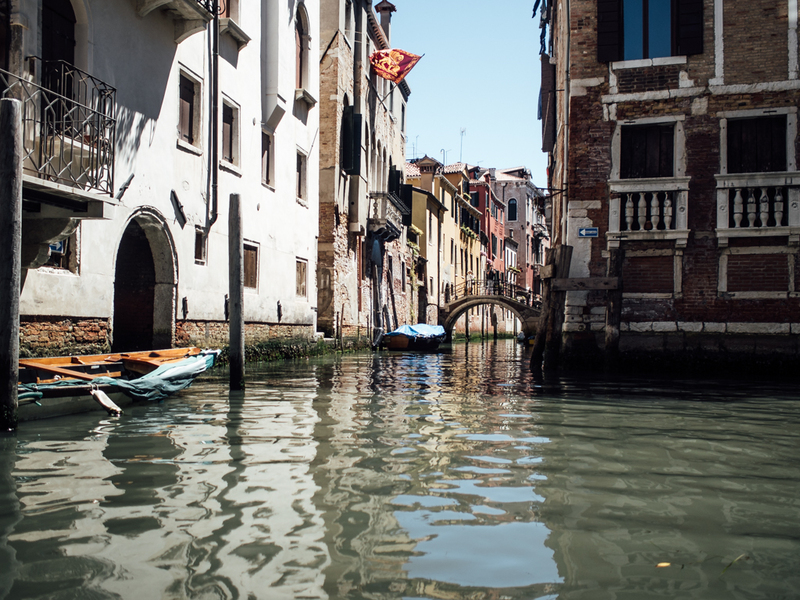 This was my very first time in Venice after a few failed attempts to visit La Serenissima, I thought the city was forever going to be the cursed destination on my bucket list… Until I boarded the Riva boat taking me to the hotel, I didn’t believe I actually had made it there. 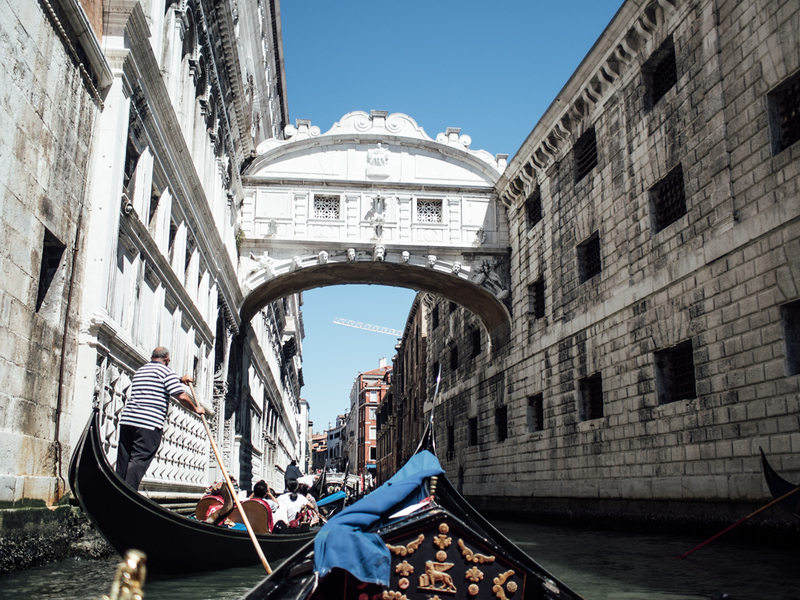 This gondola ride came as a welcome break from a few hours of walking around the city, discovering hidden gems in quieter neighbourhoods with my travel partner in crime. 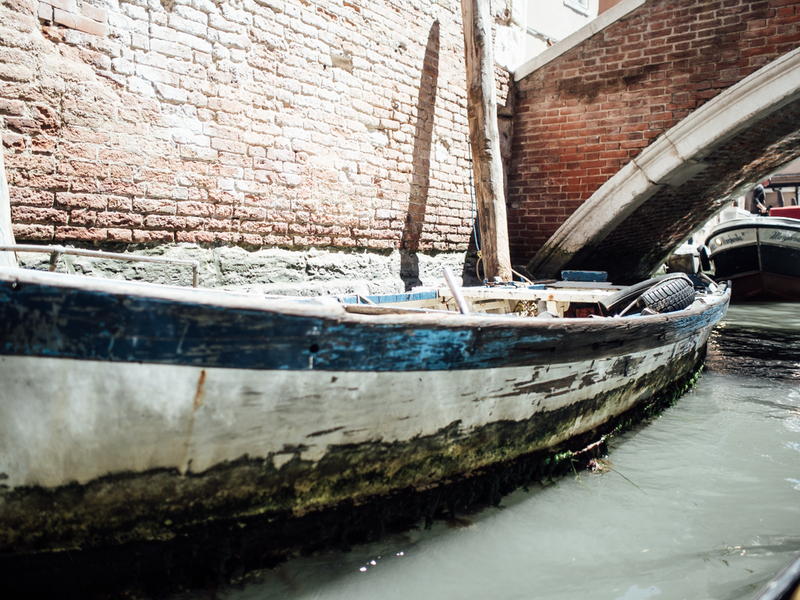 I obviously don’t know Venice that much after a couple days spent there, but I certainly know how to travel while avoiding all things touristy and keeping clear of crowds. I really hate large crowds of people and I don’t care much for sightseeing, preferring a slower travel pace, walking around head in the clouds and stopping at every single coffee shop that boasts more than 5 local grandpas sitting outside. 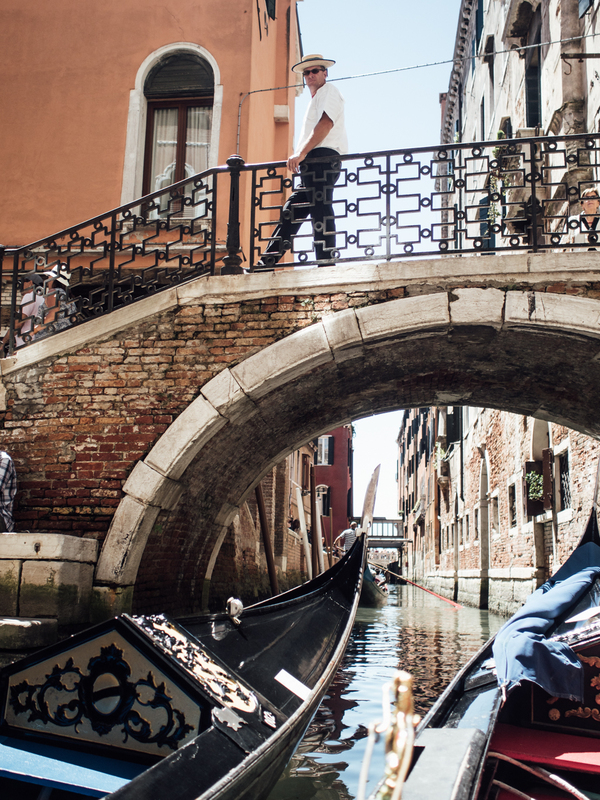 Isn’t a gondola ride terribly touristy? Well… Yes and no. 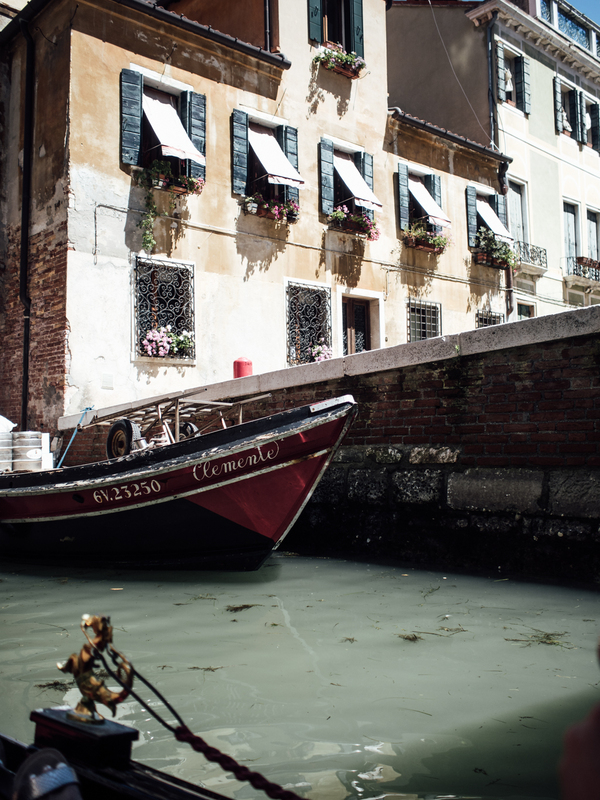 You do have to mingle with the rubber chicken crowd for a bit, time to find your gondolier, then you may be stuck in a gondola traffic jam, but as soon as you agree to go sail away in the smaller canals, the crowds dissipate and then it is just you, the sounds of the water and Venetian life. 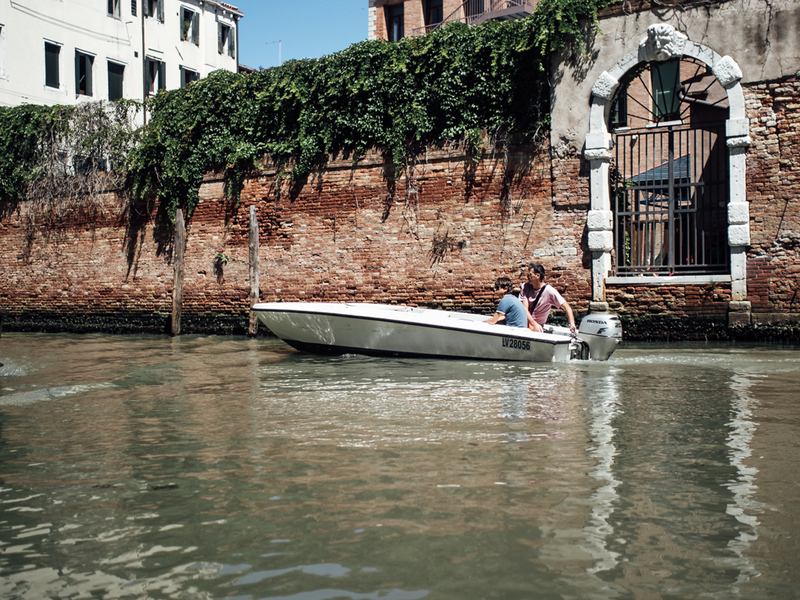 The gondola rides prices are now fixed by the city, so don’t waste time haggling, these guys have a hard job taking visitors around all day. The daytime fare is €80 for 40mn and then €20 extra per 20mn increments. 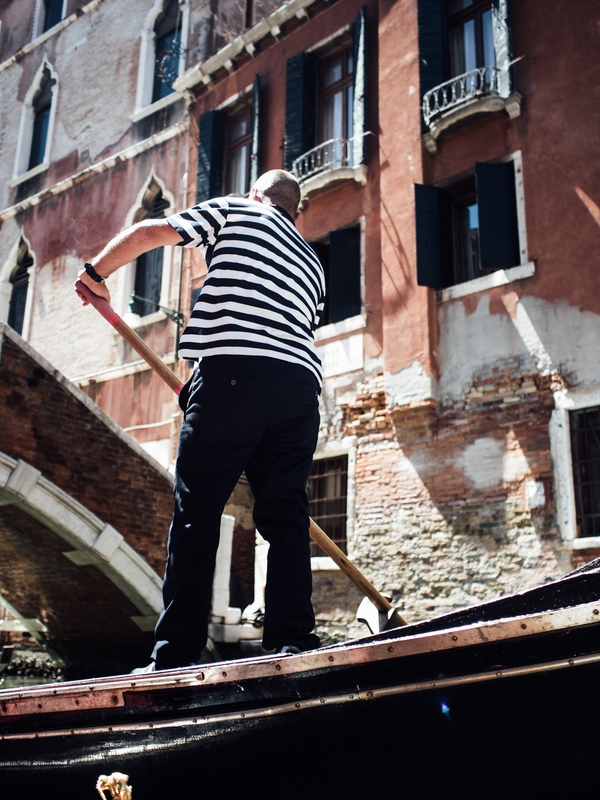 My tip is to avoid riding in a gondola on the Grand Canal, nothing good will come out of it!